Dr. Steven Morton graduated from Columbia HS in 1968 in East Greenbush and was awarded a full scholarship to Rensselaer Polytechnic Institute in Troy, New York. He attended RPI for 6 years earning 3 degrees total in Engineering and Biology. Dr. Morton then attended the School of Dental Medicine at the University of Pennsylvania earning a Doctor of Dental Medicine degree. 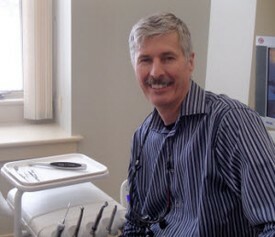 After a 1 year hospital based Residency program in Pittsfield, Massachusetts Dr. Morton opened his private practice in Schodack, New York in October 1979 and has practiced general dentistry continuously since then. Dr. Morton continues in full time practice at his newly renovated office. Dr. Morton is a member in good standing in American Dental Association, the New York State Dental Society, and the Third District Dental Society and has been awarded Lifetime membership in all three associations. Skill and compassion go hand in hand when providing exceptional patient care. As a dental professional, Dr. Morton stays up to date on the latest advancements in dentistry in order to provide the most current treatment options for his patients. Dr. Morton recognizes that his patients are unique individuals who have placed a great deal of trust in him and the team. That is just one reason why Dr. Morton values each and every patient relationship.